Not too long ago, chartered jet travel was only for the affluent traveler, with easy-to-reach airports, quiet terminals, no lines or long waits, reliable departure times, and a peaceful flight. Local airports are starting seeing an uptick in charter travel, with the advent of charter membership travel in Napa County, offering more convenience and lower fares, and a new corporate hangar, and the arrival of a new charter airline in Sonoma County this fall. “Flying a chartered aircraft is a cool business tool, we see it all the time. If you fly a commercial airline, you are on their time. It limits you as a business person. A chartered plane flies on your schedule,” said Josh Hochberg, owner, Sonoma Jet Center, located at Charles M. Schulz-Sonoma County Airport. Hochberg said he is seeing an increase in both individual and business flying. Sonoma Jet Center, which manages and services private airplanes, recently completed a new 21,000-square-foot hangar, exclusively for a local corporate tenant. Cost of the hanger was $4 million, and Hochberg emphatically stated he plans to build more hangars in the future, for both individual and corporate tenants. KaiserAir also manages and services private airplanes at the Sonoma Airport and in Oakland. They also offer charter service. 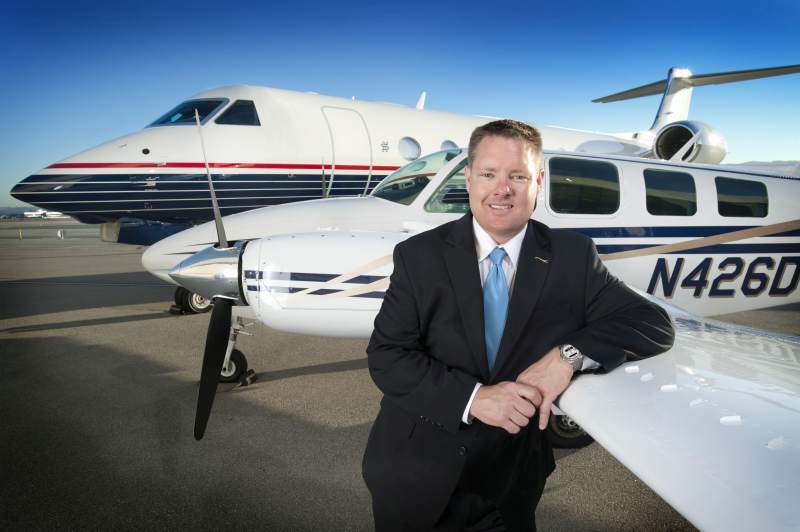 While most of the travel out of Oakland is for business, in Sonoma, travel is about half business, half leisure, said Gregg Rorabaugh, vice president, KaiserAir ground services and administration. “In Sonoma, the population growth is creating an opportunity for businesses to purchase their own aircraft,” he said, adding KaiserAir has expansion plans there. Negotiations are also underway with another charter company to be based at the airport, pending an October decision, according to Jon Stout, airport manager. The company, which he declined to name, is currently seeking permits for a 14,000 square foot hanger. In 2015, across nationwide private aviation segments, market analyst Argus reported a flight activity increase of 2.9 percent and projects a similar size increase moving forward into 2016. A survey carried out by industry magazine Corporate Jet Investor found that nearly one in four (23 per cent) of private aviation companies said that the growth of membership schemes and online charter is fueling demand for jets, while companies are becoming increasingly likely to opt for jet membership scheme for business travel. While quality used to be the major driver in the charter flight marketplace, now, it’s also price. And while paying $4,500 an hour (or more) for a private plane is still relatively common, upstart companies are now allowing travelers to book single seats rather than entire planes—making charter travel relatively affordable, and especially attractive to those who fly for business. San Diego-based Surf Air offers an all-you-can-fly club memberships within a specific region. Members pay a flat-rate monthly rate to fly regularly-scheduled flights on six-eight-seat single-engine turboprops between a group of cities at fixed departure times. Customers get guaranteed reservations for a certain number of flights and space-available ones for the rest of the month. After a $500 fee to join, members pay a monthly fee of $1,750. A one-time trial flight is available for $500 one-way or $1,000 round-trip. Members can book flights by smartphone and need arrive only 20 minutes before flight time to be checked in by a concierge. Founded 2013, Surf Air flies 17 daily flights between Los Angeles and San Francisco. Membership also includes choice of flights to Napa, Burbank, Hawthorne, San Carlos, Oakland, San Jose, Santa Barbara, Truckee, Carlsbad, Monterey, Sacramento, Palm Springs, and Las Vegas. Though these clubs focus primarily on frequent business travelers, they are starting to broaden their appeal by adding leisure destinations and sometimes offering guest passes and discounted memberships for families. 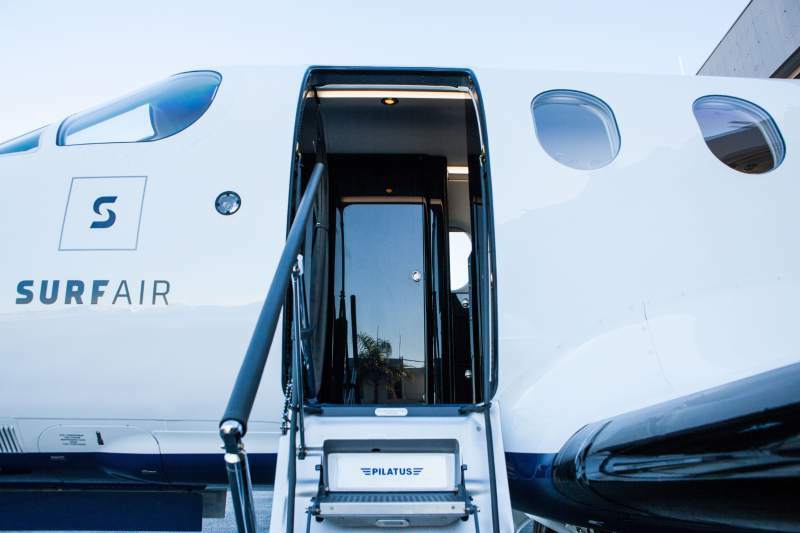 Last year, Surf Air expressed interest in flying to Sonoma, from Los Angeles County and San Carlos in the South Bay but instead opted to fly to Napa. The airline flies weekends between Los Angeles and Napa, for mostly leisure travel, according to company spokespersons. Passenger loads vary from month to month, as visitors travel for seasonal events. Although companies like Surf Air make charter service more affordable for the average flyer, luxury private charters, with prices in the thousands of dollars per hour, are still flourishing. Based in Petaluma, Solairus Aviation manages about 100 business and individually owned aircraft nationally, and 25 between Sonoma and Napa. Solairus provides each client with a team of four staff members, offers catered food service, and special orders, whether it’s take-out from Burger King or top shelf whiskey. “We don’t play on price. We are the most expensive in town. We believe we’re worth it,” Drohan said. Between 2014 and 2016 Solairus flew 228 flights out of Napa, where it has a base, and 22 out of Sonoma, where it doesn’t. Since starting in 2009, the company has had “rocket ship” growth rate, Drohan said. In 2015, Solairus expanded its office space in Petaluma by 20 percent, along with opening a new office in Purchase, N.Y. The company has 35 locations around the country, most of which are small offices in private hangars. “Many are surprised that a global player in a big industry is here in little Petaluma,” Drohan said. An Alaska Airlines flight on its way to Seattle made an emergency landing Monday in Minneapolis after a passenger tried to open a rear-door midflight. The Boeing 737 was on its way from JFK Airport in New York. KIRO 7 News reached out to Alaska Airlines about the incident. "We did receive reports that this passenger attempted to access a door at the rear of the aircraft. The passenger was unsuccessful as it is physically impossible to open an aircraft door while the aircraft is pressurized and inflight," spokesperson Halley Knigge said. 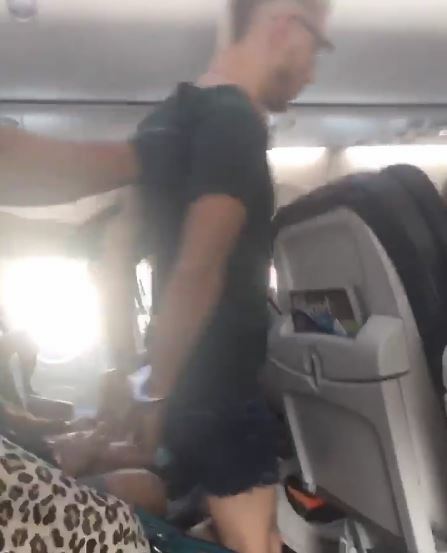 The flight resumed shortly after police escorted the disruptive passenger off the jet. Minneapolis-St. Paul International Airport Police told KIRO 7 News that officers questioned him and determined he presented a danger to himself. The passenger was taken to Fairview Southdale Hospital. An airport spokeswoman says that it is possible this is a possible medical situation so it is not releasing his name at this time. 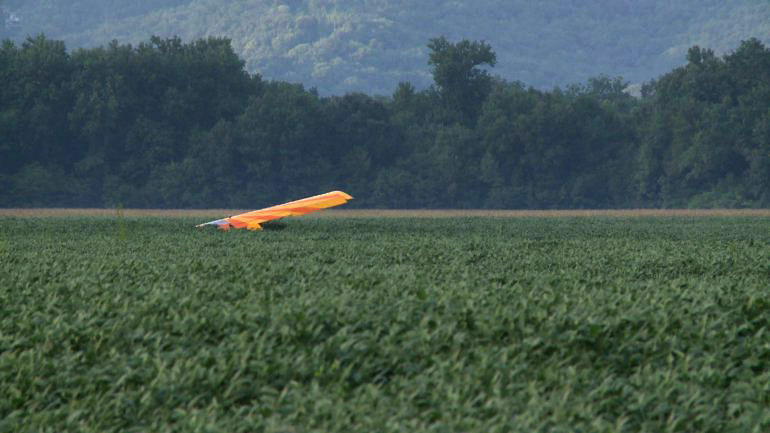 AIRCRAFT, EXPERIMENTAL RIDGE RUNNER MDL II, FORCE LANDED IN A FIELD, NEAR SAINT CHARLES, MISSOURI. ST. CHARLES COUNTY • The pilot of an ultralight, experimental airplane crashed in a St. Charles County soybean field Sunday after his engine cut off while he was attempting to land. Upon landing, the airplane's landing gear collapsed, causing the aircraft to spin out of control. But the pilot walked away without injury, said Val Joyner, spokeswoman for the St. Charles County Police Department. “Of course, he was shaken,” she said. The crash occurred near Portage Road. Joyner said she didn't have the pilot's name or where he had begun his flight. AIRCRAFT LANDED WITH GEAR RETRACTED, SAINT PETERSBURG, FLORIDA. AIRCRAFT ON LANDING, STRUCK THE PROPELLER, PAULS VALLEY, OKLAHOMA. The pilot reported in a written statement that the airplane had just been released from a repair shop after the engine exhaust system had been rebuilt. He added that the engine was tested before being released from the repair shop, and no mechanical anomalies were noted. According to the pilot, while completing the preflight run-up, the engine quit running when it was at 1,800 rpm. He got out of the airplane and did a walk-around and noticed nothing abnormal. He then attempted multiple engine starts, and "the engine would try to start but would not keep running." Subsequently, he was able to get the engine started. The pilot reported that he conducted a preflight but did not visually check or measure the fuel in either tank during the preflight, but before flight, he believed the left fuel tank was empty. He then took off and circled the airport in a right traffic pattern, flew down the runway at 2,000 ft mean sea level, then proceeded on-course to his destination. The pilot further reported that, when he departed, the left tank low fuel light was on, the right fuel tank light was off, and the fuel level in the right tank was between 1/8 and 1/4 full. The fuel selector was selected to the right fuel tank. He added that, about 7 nautical miles from the destination airport, the right tank low fuel light illuminated for about 3 to 5 seconds and then extinguished. As he turned the airplane onto final, he added power and "pumped [the] throttle several times with no response from [the] engine." He added that when the engine lost power, he switched the fuel selector from the right tank to the left tank out of habit. 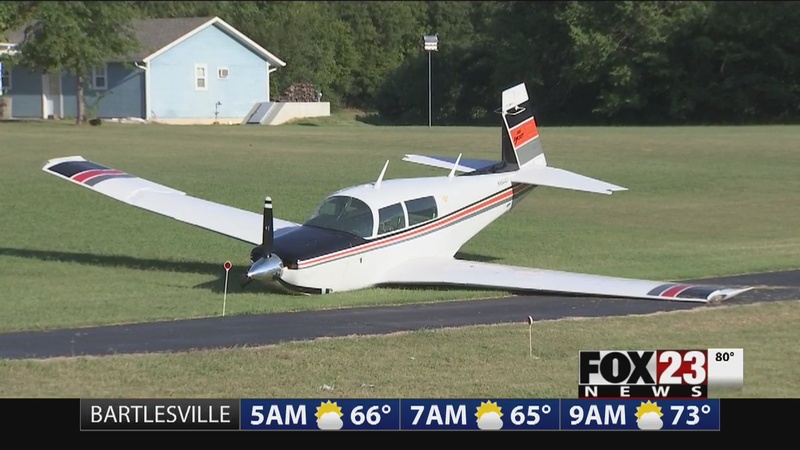 The pilot reported that the airplane continued to sink and that he made a slight right turn to avoid power lines and a street with several cars and landed hard in a large yard. A Federal Aviation Administration aviation safety inspector reported that, after the accident, he and the pilot drained the fuel from the airplane. He reported that they sumped about 3.25 to 3.50 gallons of fuel from the right tank and about 1 gallon of fuel from the left tank. The Airplane Flight Manual (AFM) stated that the airplane had a total unusable fuel volume of 3 gallons and was equipped with left and right fuel low annunciation lights that indicated when 2.5 to 3 gallons of usable fuel remained in the respective tanks. The AFM further stated, "switch to fuller tank." According to Title 14 Code of Federal Regulations Part 91.151 Fuel requirements for flight in VFR [visual flight rules] conditions: (a) No person may begin a flight in an airplane under VFR conditions unless (considering wind and forecast weather conditions) there is enough fuel to fly to the first point of intended landing and, assuming normal cruising speed - (1) During the day, to fly after that for at least 30 minutes. Estimated fuel requirements for the flight, based on the pilot's statement that the airplane normally burned "28-30 gph [gallons per hour] on takeoff power and 18-19 gph on cruise power" and the reported flight profile, indicated that a minimum of 8.7 gallons were required for the flight. When an additional 30-minute reserve was added, a total of 17.96 gallons were required for the flight. As noted previously, the pilot reported that, before flight, the fuel gauges read 1/8 (4.7 gallons) to 1/4 (9.4 gallons) full on the right fuel tank, and he believed the left fuel tank was empty. It is likely that the engine was starved of fuel after the pilot completed multiple turns in the traffic pattern with low fuel in the right fuel tank, and that, subsequently, when the pilot switched the fuel selector to the left fuel tank, which contained only about 1 gallon of fuel, fuel starvation occurred. The pilot's improper decision to conduct the flight despite the fuel gauges indicating that there was insufficient fuel for the flight, which resulted in the low amount of fuel in the right tank becoming unported during the multiple turns, and his subsequent improper decision to switch to the nearly empty left tank, which led to a loss of engine power due to fuel starvation. The pilot reported in a written statement that the airplane had just been released from a repair shop, where the engine exhaust system had been rebuilt. He added that the engine was tested before being released from the repair shop and no mechanical anomalies were noted. According to the pilot, he took possession of the airplane, and while completing the preflight run-up, "the engine died upon the 3rd time of cycling the propeller. The engine was at 1800 RPM [revolutions per minute] when it quit running, [it] totally died." He added that he, got out of the airplane and did a walk around and noticed nothing abnormal. He then attempted multiple engine starts, and "the engine would try to start but would not keep running." Subsequently, he was able to get the engine started, he then completed the "pre-flight checks" with "no issues," and he took off. He added that after takeoff, he circled the airport in a right traffic pattern and flew "back down the center line" of the runway at 2,000 ft. mean sea level, before proceeding on-course to his destination. The pilot further reported that "upon departure," the "left tank low fuel light was on, right fuel tank light was off and [while] level showed between 1/8 and 1/4 full." The fuel selector was selected to the right fuel tank. He added that about 7 nautical miles from the destination airport, the right tank low fuel light illuminated for about 3-5 seconds, and then stopped illuminating. As the airplane entered the traffic pattern, he completed a left base turn and then a left turn to final "with power pulled back" because the airplane was "a bit high on left base." As the airplane turned onto final, the "glide path altitude looked correct" and he added power, but there was no response from the engine. He added that he "pumped throttle several times with no response from [the] engine." The pilot reported that the airplane continued to sink, and he made a slight right turn to avoid power lines and a street with several cars, and landed hard in a large yard. During telephone conversations with the NTSB investigator-in-charge, the pilot described numerous details about the flight and the accident airplane. He reported that he did not visually check or measure the fuel in either tank during the preflight, but prior to flight he believed the left fuel tank was empty and the right fuel tank gauge read 1/4 to 1/8 full. He reported that when the engine lost power, the propeller was wind milling, the mixture was rich, and he moved the throttle to full forward. He added that when the engine lost power, he switched the fuel selector from the right tank, to the left, out of habit. He reported in numerous conversations, that he could have run out of gas, but he was unsure. He also added that, "I'm not going to deny that my turns in the traffic pattern may have introduced air into line and then the engine quit." The pilot reported on the NTSB Form 6120.1 Pilot/ Operator Aircraft Accident/ Incident Report that the engine failed. A Federal Aviation Administration (FAA) aviation safety inspector reported that after the accident, he and the pilot drained the fuel from the airplane. He reported that while sumping the right wing, via the right wing sump, about 3.25 to 3.50 gallons were drained into a bucket. He reported that they were using a combination of buckets due to the quantity, and "at the very most" a quarter of fuel, or less, was spilled. He added that he drained about one gallon of fuel from the left fuel tank. About two and a half months after the accident, the pilot provided an additional emailed written statement and additional photos. He reported that he measured the drained fuel quantity as "4.45 gallons less spillage." He added that the "gas a lator [gascolater] housing was removed from the plane where a fair amount of lint type material was observed that could [had] restricted fuel flow to the engine." The pilot further added that he normally burns "28-30 gph [gallons per hour] on takeoff power and 18-19 gph cruise power." The FAA inspector was not present for the pilot's additional fuel measurements, or his airplane examination. The airplane flight manual (AFM) stated in part that, fuel is carried in two integrally sealed sections of the forward inboard area of the wings and the total usable fuel capacity was 75.6 gallons, with a total unusable fuel volume of 3 gallons. The AFM further stated that, fuel feeds from one tank at a time to the selector valve and through the electric fuel pump enroute to the engine-driven pump and the fuel injector unit. The airplane was equipped with a three-position fuel selector valve located on the floorboard between the left and right cockpit seats. The valve allowed the pilot to select the left or right fuel tank, or select the fuel off. The AFM stated that the airplane was equipped with left and right fuel low annunciation lights, that indicate 2.5 to 3 gallons of usable fuel remain in the respective tanks and further stated: "switch to fuller tank." The AFM also stated in part: "Warning: Takeoff maneuvers when the selected fuel tank contains less than 12 gallons of fuel have not been demonstrated." According to the FAA electronic document retrieval system, the airplane underwent a "Rocket 305" engine conversion, which was completed in March 1998. The conversion was performed under FAA approved supplemental type certificate numbers SA00243SE and SA5691NM. In part, the conversion involved removal of the original engine and installation of a TSIO-520 engine, increasing the airplane's horsepower to 305. According to 14 Code of Federal Regulations Part 91.151 Fuel requirements for flight in VFR conditions: (a) No person may begin a flight in an airplane under VFR conditions unless (considering wind and forecast weather conditions) there is enough fuel to fly to the first point of intended landing and, assuming normal cruising speed - (1) During the day, to fly after that for at least 30 minutes. The fuel quantity gauges indicate the amount of fuel measured by a sensing unit in each fuel tank and is displayed in gallons or pounds. Aircraft certification rules require accuracy in fuel gauges only when they read "empty." Any reading other than "empty" should be verified. Do not depend solely on the accuracy of the fuel quantity gauges. Always visually check the fuel level in each tank during the preflight inspection, and then compare it with the corresponding fuel quantity indication. 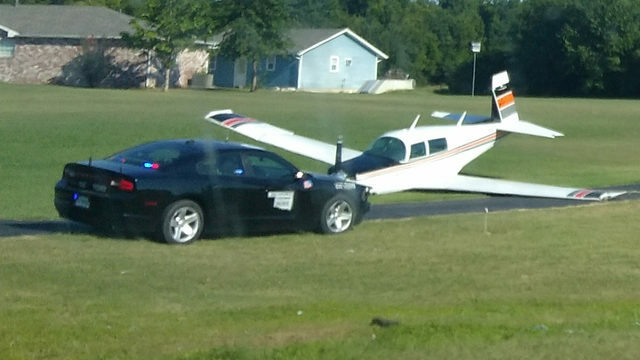 Aircraft Manufacturer: MOONEY AIRCRAFT CORP.
August 26, 2016: Aircraft force landed in a field. The pilot reported that, during approach, he made a relatively steep descent with full flaps. During touchdown on the unimproved airstrip, the tailwheel-equipped airplane landed hard and bounced. The airplane touched down again angled to the left and veered off the runway to the left during the roll on the uneven, dirt surface. Subsequently, the left wing impacted a tree, and the airplane pivoted into an adjacent tree. The pilot's improper landing flare, which resulted in a hard, bounced landing and subsequent loss of directional control on an unimproved airstrip. The pilot of the tailwheel and tundra tire equipped airplane reported that during landing on a soft grass airstrip he conducted a wheel landing instead of a three-point landing. The pilot further reported that during the landing roll, the main landing gear dug into the ground, which resulted in a nose over and substantial damage to both wing struts and empennage. The tailwheel should touch down simultaneously with or just before the main wheels, and should then be held down by maintaining firm back-elevator pressure throughout the landing roll. This will minimize any tendency for the airplane to nose over and will provide aerodynamic braking. The use of brakes on a soft field is not needed because the soft or rough surface itself will provide sufficient reduction in the airplane's forward speed. Often it will be found that upon landing on a very soft field, the pilot will need to increase power to keep the airplane moving and from becoming stuck in the soft surface. The pilot's improper soft field landing technique on a soft grass airstrip, which resulted in a nose over.